Stafford Park offers campers a great alternative to traditional RV or tent camping. Stafford’s camper cabins have one bunk bed and one double bed that will accommodate up to four people. One cabin is handicap accessible. 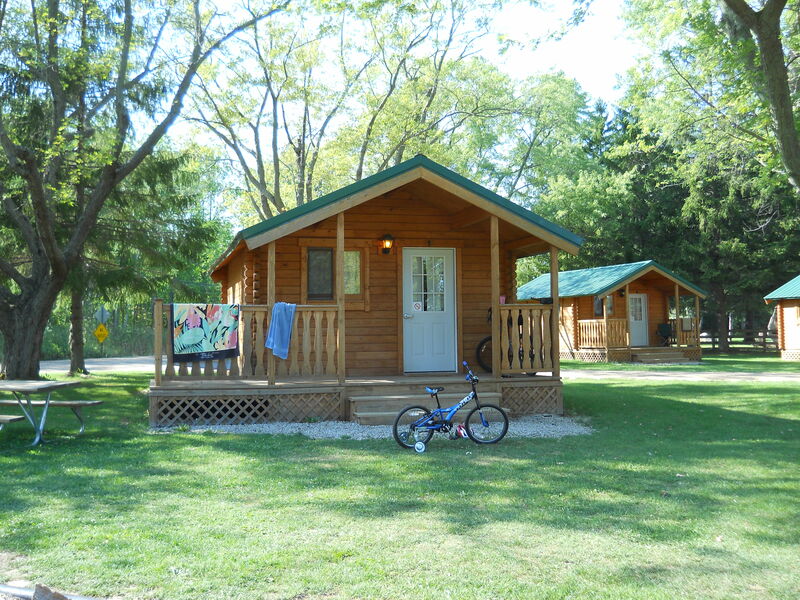 These cabins include tons of amenities that will make you feel at home. While you’re here enjoy the in-cabin bathroom with shower as well as air conditioning and heat, electricity, a small refrigerator as well as table and chairs. Be sure to check in and out at the park office to get access to the cabins. Check-in time is 3:00 pm and check-out time is 1:00 pm.